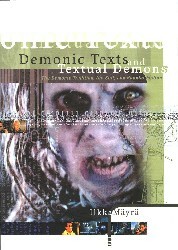 In the spirit of open access publishing, I linked also to the sidebar of this blog my early book Textual Demons and Demonic Texts (1999). I still every now and then come across studies of horror, science fiction, cyborgs and techno-culture that might had profited from having a look at some of its chapters, so: here they are, all of them. If you are interested in buying a physical book that also includes all the images, please contact me personally. Link: http://www.uta.fi/~frans.mayra/Demon_2005/. 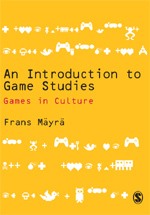 Oh, the book appears to be on sale also through the online bookstore here: http://granum.uta.fi/granum/kirjanTiedot.php?tuote_id=1574 .